Working closely with schools and community groups, Pioneer Water Tanks has developed a range of school rain water tanks. They have been designed with functionality and safety as priorities. 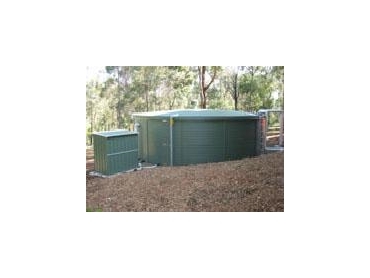 When installed in schools and other community facilities, Galaxy rain water tanks meet all the relevant Australian standards. The National Solar Schools Program offers grants of up to $50,000 (GST exclusive) to install solar power systems, other approved renewable power systems and rain water tanks in schools throughout Australia. The program allocates up to $30,000 to the installation of rain water tanks. In association with BlueScope Water, Pioneer Water Tanks has assisted a number of schools and community organisations through the Green Vouchers and Community Water Grant government initiatives. Along with the National Solar Schools Program, these two schemes have helped to create an awareness of water conservation and other environmental issues amongst school children and young people. The water savings across Australia by schools installing rain water tanks will potentially be millions of litres annually.